“Your eyes, as we said our goodbyes, can’t get them out of my mind, and I find, I can’t hide.. Your eyes, the ones that took me by surprise, the night you came into my life, where there’s moonlight, I see your eyes..” -from the song Your Eyes, the musical Rent Yes, your eyes. They say if you look into a person’s eyes you can see into their soul. Our windows to the world. Every woman has a lovely pair of eyes. I think that our eyes are the best features we have on our faces. And if a man can sing a song like that about our eyes, don’t you think you ought to decorate it just a little bit? I think every woman (above the age of 21) should wear at least SOME makeup. As it’s common sense to brush your hair & teeth every day, I think women should put something on their faces. There were times when I went out bare faced & people would make a comment. 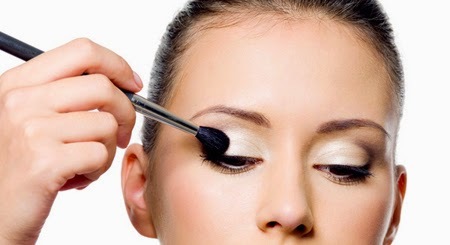 In this post I’ll being talking about eyeliner, eye shadow, eyebrows & lashes. Eyebrows: Important: if you don’t do anything to your eyes the very basic thing you MUST do is groom your eyebrows. No one wants a unibrow, or bushy brows, whether you pluck, thread, wax, or use the eyebrow razors is up to you. Also some women like to put a little bit of color in their brows (make them darker); this is purely optional. 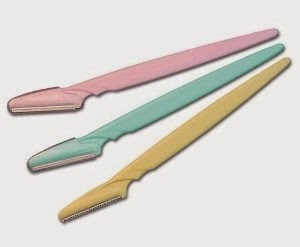 If you choose: Plucking: get a good pair of tweezers. (Don’t get the ones that cost $1) Spend a few dollars on a good pair of tweezers. 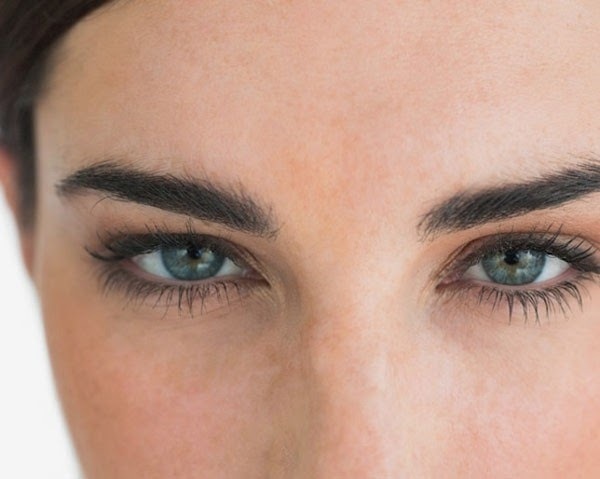 When you do pluck, make sure that both brows are even on both sides. Or Waxing: if you can tolerate waxing find a salon near you that does it inexpensively. MAKE sure the person who’s doing it knows what she’s doing. I used to have my eyebrows waxed & 1 one a woman waxed my eyebrows unevenly. One of my eyebrows was higher than the other for weeks. 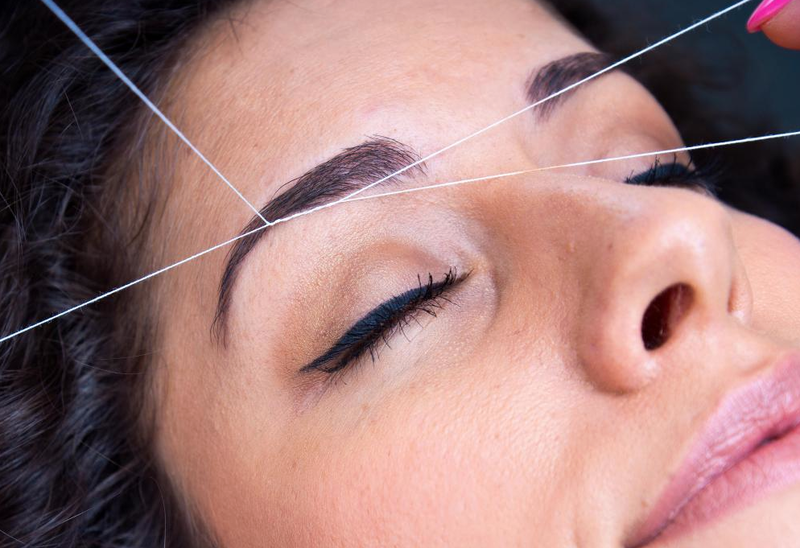 Threading: what’s becoming more & more popular lately. If you can find a place with a good deal, why not? Living in NYC there are LOTS of places that do threading; sometimes only for $10. I’ve never done it but I’ve been told that it’s less painful than waxing. 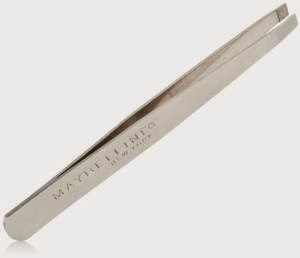 Eyebrow razors: you can find these in makeup stores, drug stores, & some dollar stores. Pain free razors that allow you to ‘cut’ your stray hairs to fine tune your brows. They cost $1 & they’re painless. If you want, get some. 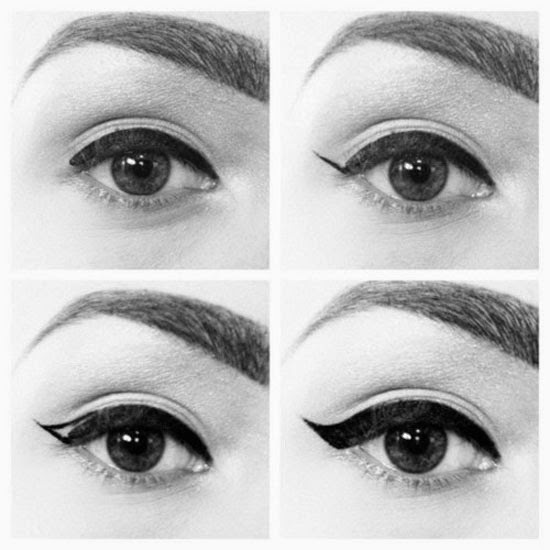 How to do cat eyes: This works best with liquid eyeliner. 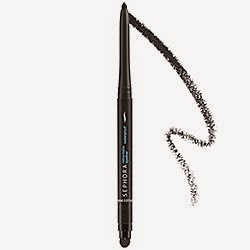 First line the top lid of your eye. Give a tiny corner on the side & fill it in. I’m so used to it I usually can do it in 2 strokes. 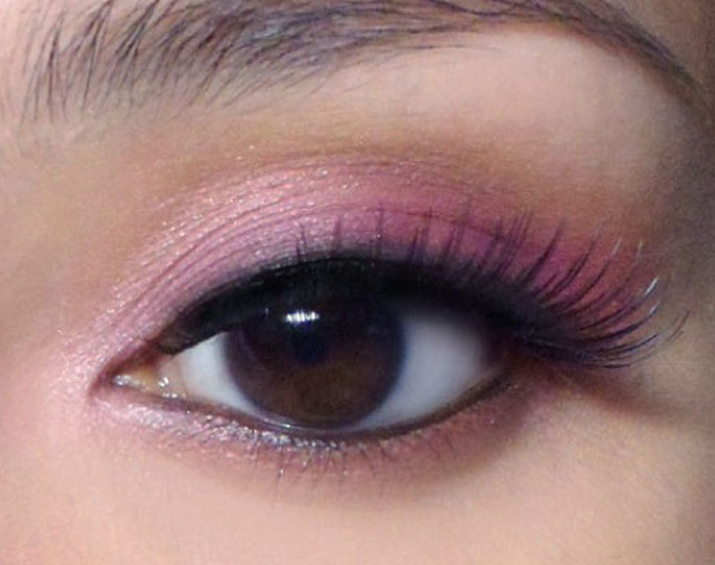 Eyeshadow: if you want to be very basic you just do a single color over the lids. Sometimes just one color looks phenomenal. 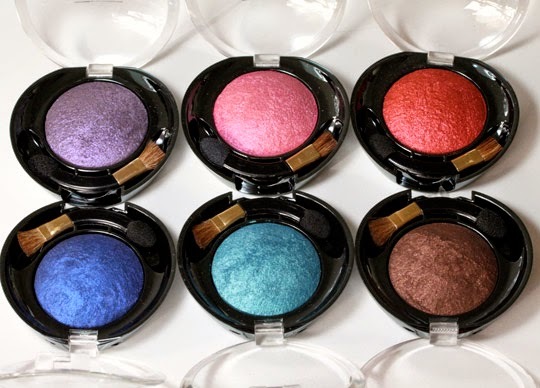 For special events, or a night out: There are girls who are quite talented at doing different color eyeshadows; unfortunately I’m not one of them. 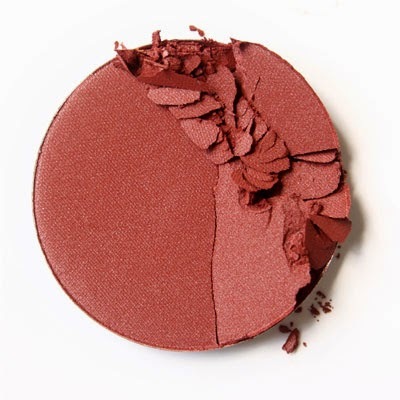 If you want tutorials, there are tons on youtube; go to makeupgeek.com, & there are instructional videos on sephora.com. Check bottom for the link. If you’re still struggling with makeup: you can go to the MAC store, Sephora, or dept. store (like Macy’s) for a free makeover! The makeup artists are usually more than welcome to give you advice. However, usually at MAC, or dept stores, they do expect you to buy something. 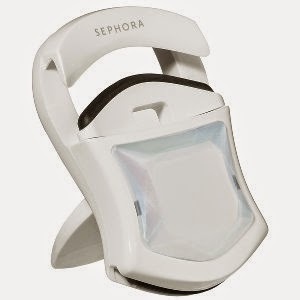 They do also at Sephora, but usually it’s so busy in the stores that they don’t really notice whether you do or don’t. (No one is going to follow you to the register) I’ve seen girls go in & ask for the free makeovers for special occasions, i.e. like their birthday. Don’t be shy! It’s always free to ask! 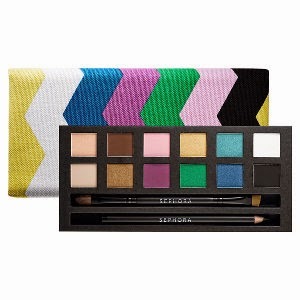 If you get one of the smaller eyeshadow palettes: what colors should you buy? Well obviously the colors you’d want to wear! Don’t waste your time on colors you would never wear. When to buy a palette vs. a single color eyeshadow: Only get the single color if it’s a color that you ABSOLUTELY love & will wear again & again. I have a few single color eyeshadows & I have never ever been able to finish them! One color will last you a long, long time. 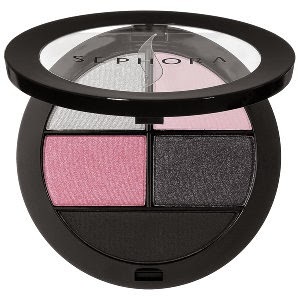 Important tip: Whatever color eyeshadow(s) you’re going to be wearing, make sure it matches your outfit. We are focusing on the eyes, but we also need to focus on the BIGGER picture. i.e. don’t wear blue eyeshadow with an orange outfit. The idea sounds horrible, the colors clash & that would be really hard to pull off. When in doubt, stick to neutrals: beiges, taupes, and/or browns. Fashion no nos: Never wear red eye shadow. It’s only for Halloween, it looks like you have an eye infection or wearing Indian war paint.. Or yellow eyeshadow: It’s extremely difficult to pull off well without it looking like you have chalk on your eyes. Opt for gold; gold is always a better option than yellow. 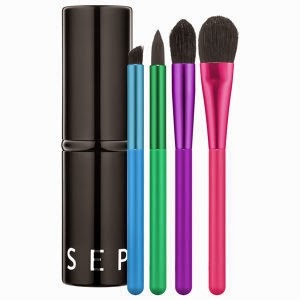 Brushes: I mentioned these in earlier posts, but I’ll mention them quickly again: I love Sephora makeup brush sets. They always come in some kind of container/pouch that you can carry anywhere with you. And the sets make the brushes more affordable. This small set of travel brushes for the eyes are only $7. Sonia Kashuk makeup brushes, Target, price varies Sonia Kashuk makes some great brush sets & individual ones as well, available at Target. Some of them come with travel pouches, & it depends on the set. Prices usually start around $15. Above: L’Oreal extra volume collagen mascara, $7 And if you wear mascara you should definitely have a mascara comb, to comb out the clumps in your lashes. Above: E.L.F. false eyelashes, $1. 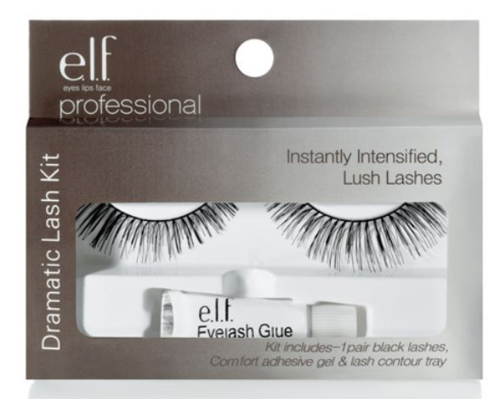 And it even comes with the eyelash glue. When attaching glue, ALWAYS let it dry briefly first, & then put it on. 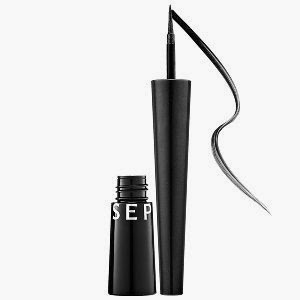 For the eyeliners & eyeshadows (and mascara too): get them at Sephora. Like I said, become a Beauty rewards member, accrue points to get free samples. 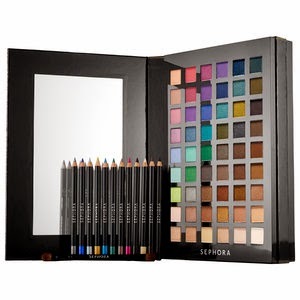 They also have a Sephora Collection, as you’ve seen above, is relatively inexpensive, affordable, & I feel that the quality is good. 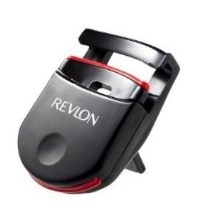 For the makeup tools, & mascara: Target/Walmart/Amazon.com. Best not to get drugstore brands at a ‘drugstore’. Rite Aid, CVS, Duane Reade, all have really high mark ups, where Target/Walmart/Amazon.com will sell them for much cheaper. Summing up: If you’re not going to do anything with your eyes, at least manage your brows. For me I always need a rim of eyeliner around my eyes. 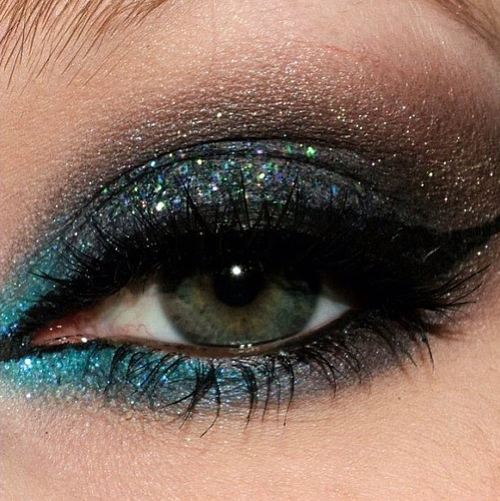 Whether you do just eyeshadow, just eyeliner or combine the both, is entirely up to you. You choose whatever your daily maintenance is going to be. I hope this has helped you! I’ve show you that you can look great without spending a fortune! Now go & put your best eyes forward! !